Have you ever had your identity stolen or credit card snatched away? You’re in good company. Many celebrities have been the victim of stolen cards and identity theft. With so much public information about celebrities already available, they can be easy targets. Here are some of the most high-profile victims. Two men in Hartford, Conn., were arrested for stealing the credit card numbers of rapper 50 Cent, New York Knicks player Carmelo Anthony and other celebrities in 2013. The arrested men allegedly used the stolen credit card numbers to buy Cadillacs, Vespas, Tiffany & Co. jewelry and more. Their spree totaled near $500,000. Fortunately, they were caught and charged for the crimes. In 2000, celebrity golfer Tiger Woods testified in the case against Anthony Lamar Taylor, a man who stole his identity. 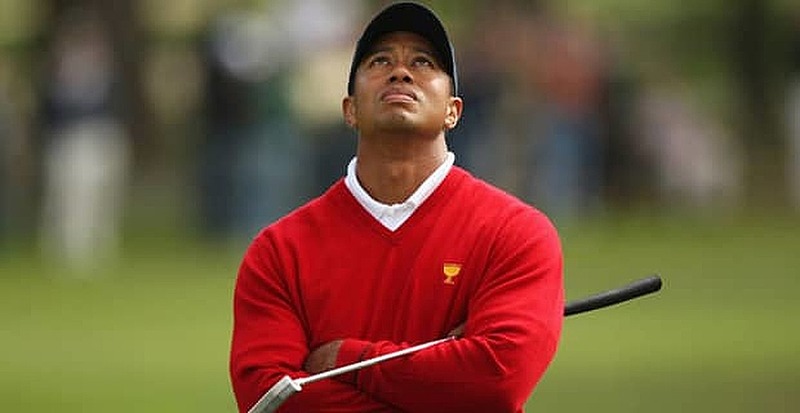 Taylor used Tiger Woods’ real name and Social Security number to apply for at least a dozen lines of credit in Woods’ name, which he used to charge thousands of dollars in fraudulent purchases. He bought TVs, furniture, a car, electronics and more by using the unauthorized card. By the time he was caught, he had stolen more than $50,000 in goods and services in Woods’ name, according to ESPN. Taylor, already a two-time convicted felon, was convicted on eight felony counts and sentenced to 200 years to life for his crimes against Woods. In 2013, the reality TV star became a victim of identity theft. Someone called American Express claiming to be her and after giving her personal information, the thief changed the Social Security number to that of Luis Flores, Jr. The thief also changed the mailing address and asked for a replacement card to be sent. Flores and his mother, Kyah Green, plead guilty to federal charges for the crime. Flores had somehow obtained a flash drive with private information of politicians and celebrities. According to The Huffington Post, Flores has been linked to fraudulent activity with other high-profile people like Paris Hilton and Ashton Kutcher. Will Smith was defrauded by a man named Carlos Lomax, who opened 14 bogus credit card accounts in the actor’s name, according to CBS. Lomax charged nearly $33,000 on the cards in Smith’s name. He was previously convicted for identity theft of Atlanta Hawks player Steve Smith. When arrested for Will Smith’s case, Lomax had already charged more than $80,000 on the fraudulent card in Steve Smith’s name. Lomax was originally sentenced to 37 months, which was later reduced to 30 months. However, he was sentenced to two more years in 2005 for probation violation. The celebrities listed above, plus many more, were the alleged targets of identity theft in 2001. Authorities said he duped credit reporting companies like Equifax into giving him credit reports on his victims. Posing as those individuals, he scored Social Security numbers, credit card numbers and financial records. Then he reached out to their banks and brokerage firms and used those funds to buy expensive items. He was arrested in 2001 after allegedly stealing $80 million from America’s richest, and he had already served time in prison for fraud. Abdallah was sentenced to 11 years for 12 counts of fraud for this scheme to target famous wealthy people. If you are a victim of identity theft, consider opening a credit card for bad credit so you can start improving your credit score.